After the sadness of yesterday’s post, I thought I should have something to lift people’s spirits. So… Pip, the Cute and Fluffy. Basically… all the pictures I’ve taken of Pip this week. I’m starting to be of the opinion that Pip may wind up being a buff yellow color with some red feathers. He/she is NOT all red, like his bio-mom. The on-going drama in the Life of Pip, thus far, has been if Pip will go outside into the run with his Momma. Abby misses the outdoors and the feel of sunshine on her feathers. She basically missed all the good sunny days being broody. She missed the deaths of both her sisters. She’s missed… everything.. to bring Pip into this world and keep him safe. 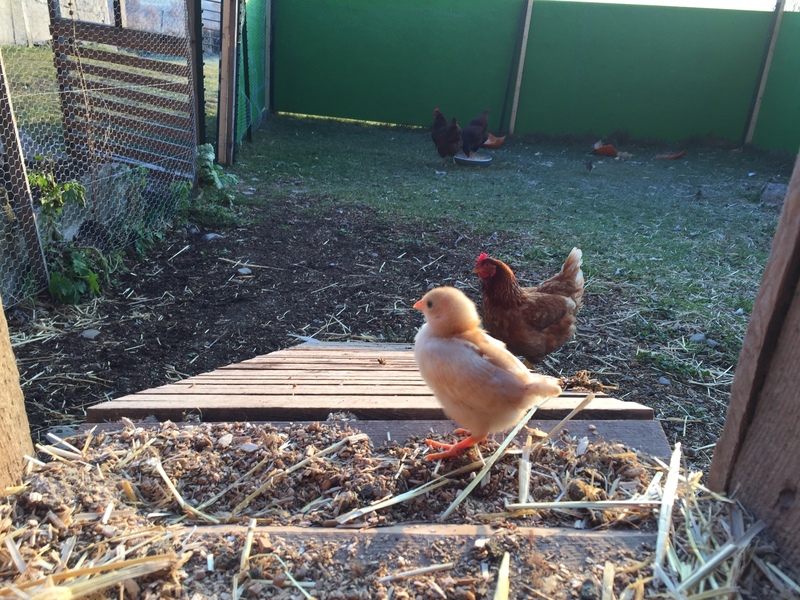 The last couple of mornings, Abby has been going outside, down the run, pecking and scratching and bucking encouragingly for Pip to join her. 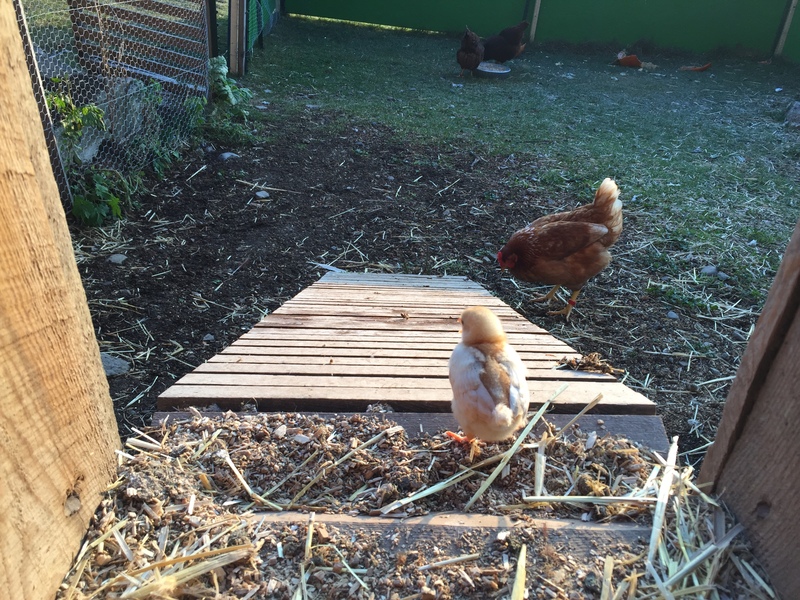 Most of those mornings go something like this: Pip approaches the ramp, hops just barely outside the coop, cheeping and peeping loudly to his Momma. And then Abby gives up and goes back into the run with him. This morning, Abby ran out with the others when I opened the coop doors. She raced straight to the treat dish (I have been giving them a scoop of layer feed, scratch grains and sunflower seeds, mixed, in the treat dish), ate her fill and left Pip inside the coop cheeping and peeping frantically. As I watched, Pip finally approached the door, hopped out on the ramp… and instead of going back inside, heistantly made his way down. He finally stopped at the bottom.